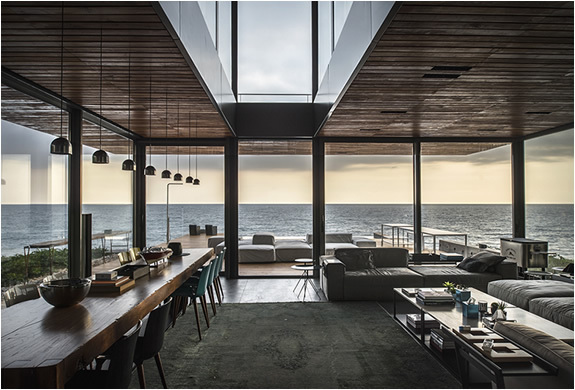 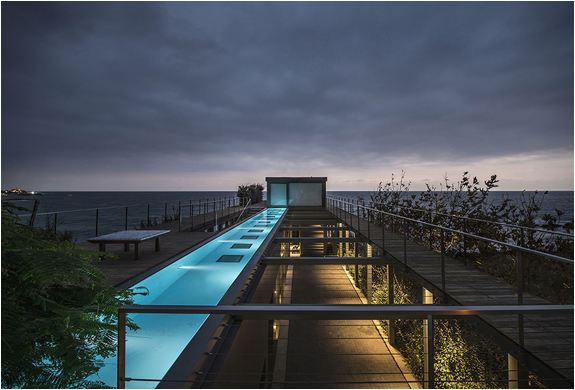 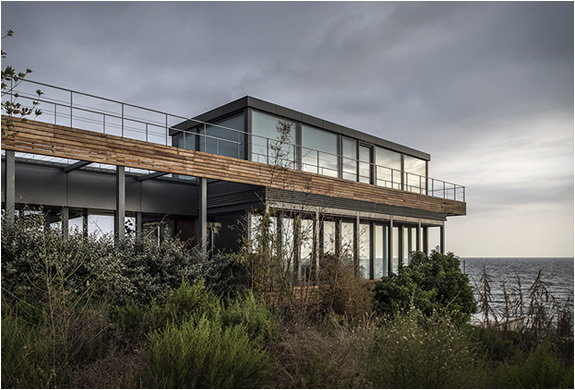 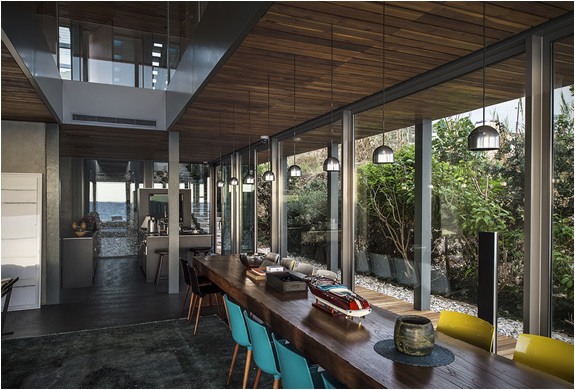 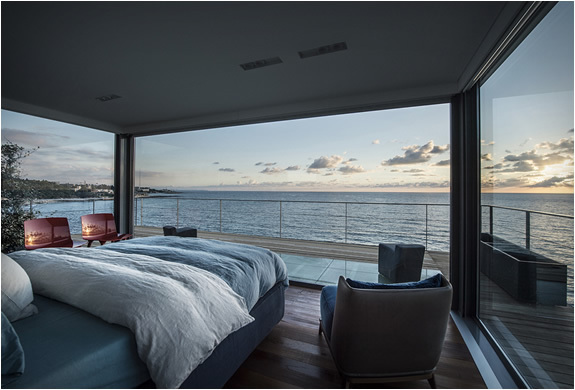 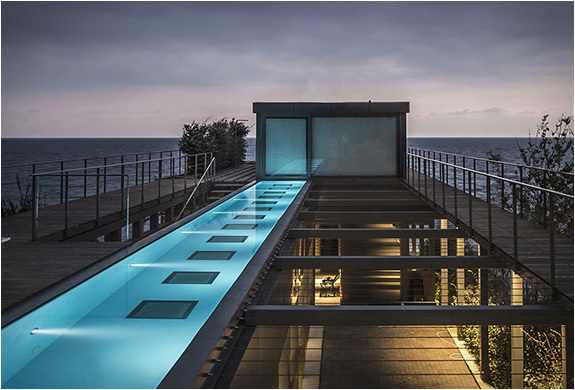 This mind-blowing beach house is located in Lebanon and was designed by Lebanese studio - Blankpage Architects. 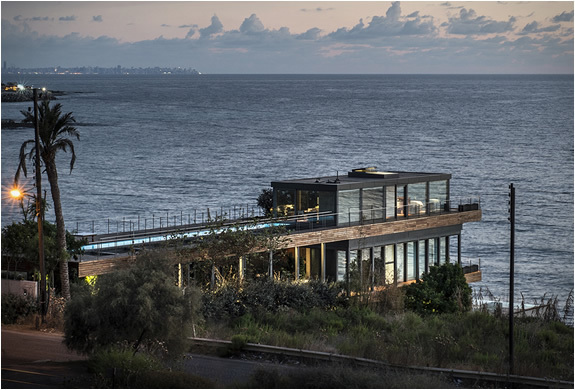 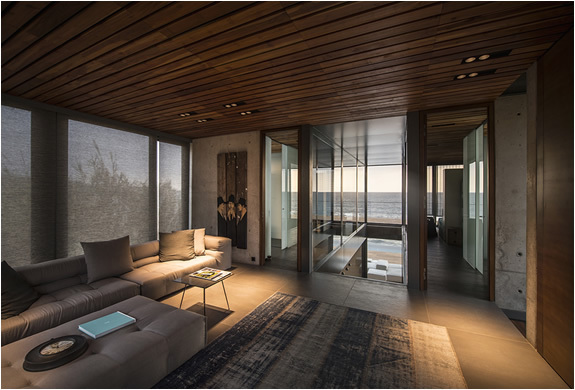 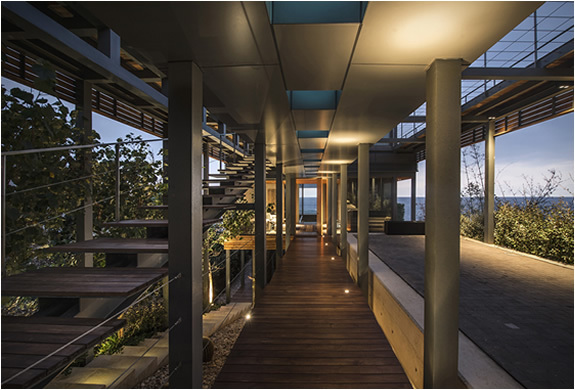 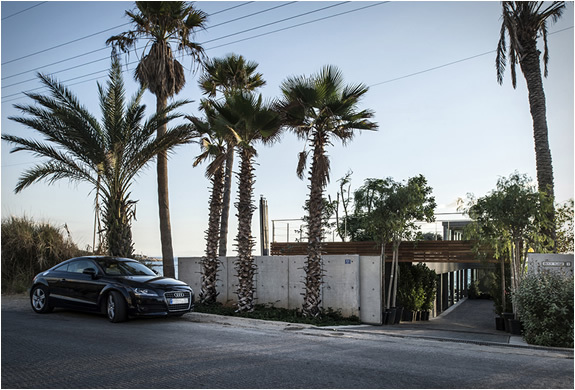 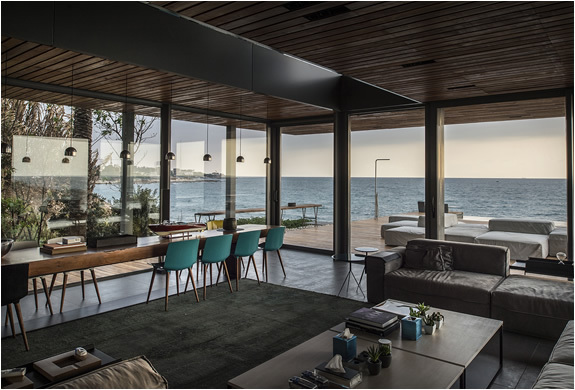 The dramatic Amchit Residence has an open connection to the landscape fruited with citrus, olive, and sea-salted palm trees, and offers beautiful views of the Lebanese coastline. 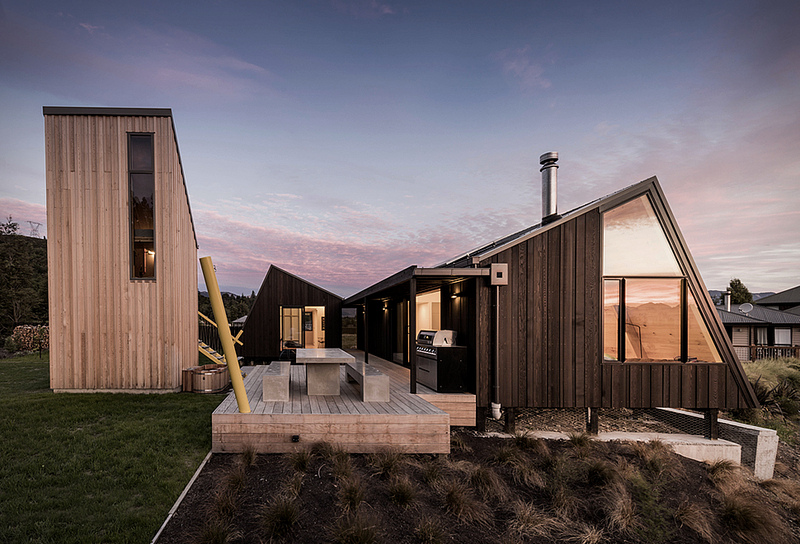 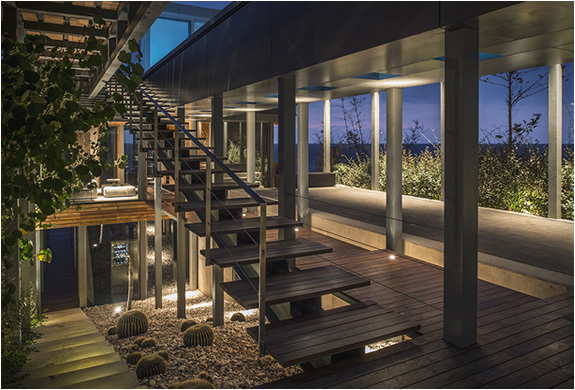 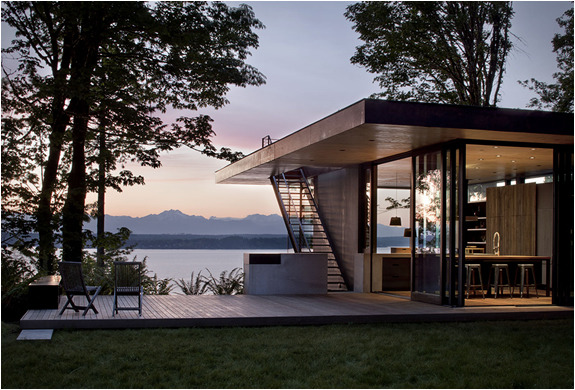 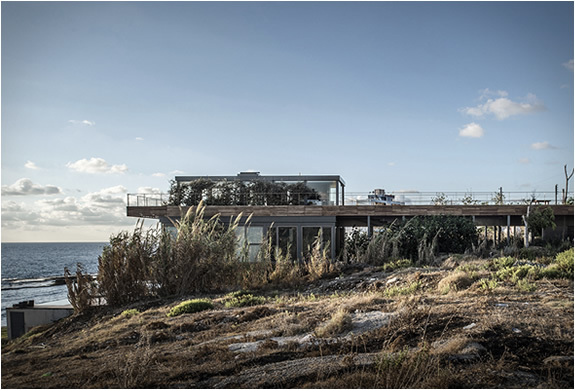 The house features a layering of three decks held by a minimal steel structure , the upper deck contains the master bedroom that opens to the spectacular glowing lap pool, the middle deck houses two bedrooms and living areas, and the bottom deck serves as a reception area that extends outdoors towards the sea through an infinity pool as well as a staircase to the shore.